Ribbon cutting ceremonies tend to have an aura of importance around them, and with the various connotations attached to them, it is completely justified. Considering ribbon cutting ceremonies mark the commencement of a truly auspicious occasion, it is imperative they go off without a hitch, and the same is only possible when you use quality items. 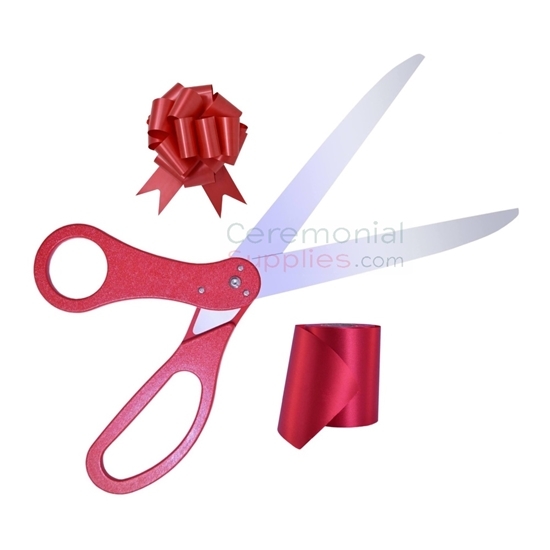 Manually searching for the right ribbon, the right scissors and the right bow can be a painstaking task and take valuable time, but to make the process easier, the Essential Ribbon Cutting Kit combines all the essential tools you might require for your ceremony in one place. With the added option of availing the set in either royal blue or red, you can easily match the items to the decor prevalent at your ceremony. For more options with regards to kits, peruse through the kits section of CeremonialSupplies.com.